Tobi vs Jaynura! Place your bets! Who will win, Tobi or Jayden? OOC: The rules of this fight are as follows. -Maximum of 15 different spells can be used. -Follow the sites rules on spell cooldowns and damage. -I'll be using Take Over Magic. -Both Mages are Legendary Ranked. -State what rank the spell you used is. -Lets have a good fight Jay. It had been a long time since someone had actually challenged Tobi Endou to a one on one. Tobi was honestly surprised he even accepted the challenge, it wasn't like him. Perhaps he was tired of sitting idle in life? Regardless, Tobi was standing at the arena gates awaiting for the announcer to make his call. Bets were being placed and people were anticipating the up coming fight. Tobi already decided to start this battle off with Focalor. If his opponent was able to survive that he would surely finish him off with Zepar. Tobi ran his hand through his purple hair and smiled as the gates began to open. The crowd went wild when Tobi stepped into the arena. He was the Master of famious guild after all. The walk to the center of the arena was a long one. From a distance the arena didn't seem very big, but once inside that all changed. The arena floor was 1,500 meters X 1,500 meters. Around the arena was a powerful barrier thrown up by a strong group of S-Class mages that worked for the city to protect the crowd from any spells that did manage to make it through. “Today's battle is between Tobi Endou, the Guild Master of Twilight Shield vs. Jayden Vista, a very powerful wizard from Crest Fallen! The bets have been placed with 15,896,756 jewels in favor of Jayden, and 10,786 in favor of Tobi! The difference is night and day people!” called the announcer. Tobi sighed, though not surprised the jewels weren't in his favor. The last time he was here Zepar had put the entire crowd, as well as the announcer to sleep, causing them to miss the entire battle. He had to be sure to not do that this time around. Slightly squinting, Tobi could see the gate open up on the other side of the arena. 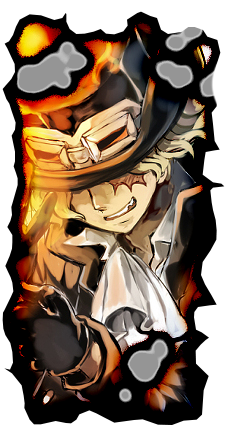 “It looks like my opponent is finally here.” he said, readying himself to meet the person, as well as combat him/her. Re: Tobi vs Jaynura! Place your bets! Jayden sat behind the bars of the arena and listened as the announcer talked about how the odds were in his favor. Even though his power level was boosted to match that of his opponent he felt like it was still a unfair fight on his end. After all the man he was up against was the guild master of Twilight Sword! Considering its the only light guild in Fiore right now he must have been strong to defend and attack powerful dark guilds like his own Crest Fallen. Suddenly the crowd grew a bit wild with there cheering as the announcer finished up. Then the gate opened. As the gate opened he could see his opponent and see he was saying something but wasn't truly able to make it out by lip reading. He stepped from the other side of the gate into the huge arena. He had on his usual attire which included his mask and trench coat. He looked to his opponent and laughed a bit. He had a thought in his mind but if he said it and lost the fight he would look like a total fool. "So who set this fight up exactly? And why do people think im going to win? Anywho I have no intent on making this easy, actually I will make this fight twice as hard!" Suddenly Jayden took a black sword from off his back and stabbed it into the ground in front of him. He clapped his hands together and began to recite a incantation. "From the black skies, to the black earth, bring forth Getsuga!" Suddenly the sword disappeared and in its place was a tall slender man with orange hair that had a slightly dark black aura around him. The man turned and looked to Jayden and said "Why did you call me forth?" Jayden simply pointed at Tobi and smiled. The summoned man charged at full speed toward Tobi with the intent of murder in his face and aura. And following close behind to the left of him was Jayden. As Tobi's opponent emerged from the gate he narrowed his eyes. The man appearing before him done a white mask. This meant Tobi would not be able to read his opponents moves through eye contact. As the man reached the center of the ring they stood about 20 feet apart. The crowd died down and the announcer began to speak. “The moment has arrived! Jayden and Tobi are now face to face! Let this death match, begin!” Reacting almost instantaneously, Jayden stuck his sword into the ground and unleashed a never before seen magic, even to Tobi's eyes. Taking a step back in preparation for what could come next, Tobi awaited his opponents next move. Appearing in place of the sword was a tall man with orange hair who turned to Jay and asked what he had summoned him for. Jay pointed at Tobi and smiled, and the man rushed Tobi at an astonishing speed. “Dwell in my body, Focalor!” he shouted. A massive burst of wind was unleashed from Tobi's body causing him for a moment to vanish from site, re-appearing with an entirely new appearance. In this form, Tobi takes on the appearance of a bird, with dark feathers covering various parts of his body. His hair grows longer and is feather-like at the ends. He is adorned with a golden collar and gains a third eye on his forehead. As the summoning approached him it reeled back a fist and aimed it for Tobi's face. Tobi through up his right arm and the fist clashed against the backside of his forearm. “The power behind that hit...” he thought. Using his third eye to look to the left, Tobi noticed Jayden coming in for a simultaneos attack, causing Tobi to widen his eyes. Using his other hand to catch Jayden's fist Tobi began to kite them backwards as the two launched an assault of close range attacks. Thanks to his third eye Tobi is able to keep track of both of his opponents attacks and did his best to block fend them off. Eventually the two changed their attack pattern Tobi took a sumultaneos attack to the gut the sent him flying backwards an inch above the arena floor. “This magic is not going to be easy to fight.” he concluded. Looking upwards from the horozontal view that he had he could see that his head was about to slam into the barrier the is used to protect the crowd. Throwing his arms out Tobi stopped mid air, floating an inch from the floor. “That is quite the magic you have their Jayden. It seems I wont be able to take it easy then.” he called to him. Using the power of his Focalor Take Over, Tobi flew through the air towards Jayden at a very high speed, then continuously changed direction at strange angles, making It very hard for his movements to be followed. Now above Jayden and his summoning Tobi pushed his palm down at them with extreme force, unleashing a massive surge of wind that rush violently towards the two. “Air Palm!” he shouted. If this attack were to hit it would explode and expand of up to an 80 meter radius, meaning even if the main force of the attack were to be dodged, the explosion would need to be avoided as well. This explosion can cause deep lacerations or even loss of limb, as well as fracture bones in 25% of the body. Spell: Air Palm, A-Rank, 5-post cooldown. Jayden and Getsuga went in for there tag team attack but it wasn't as successful as he thought it would be. Even though Jayden and Getsuga were both L rank it still seemed like it was a one sided battle, not in Jayden's favor. And things seemed to be getting worse. They watched as Tobi flew up into the air and then began to fly towards them full speed. Anybody with half a brain could tell a attack and a powerful one at that was coming. Jayden knew even with his speed dodging was pointless. So he looked to Getsuga and nodded his head and smiled. 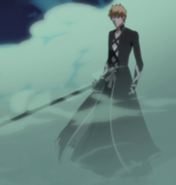 The two stood side by side with Jayden on the right and Getsuga on the left. They raised their arms up so they could hold hands. Then both then shouted out "Aura of the Fire God!" Suddenly a big cloud of black flames appeared that covered a 5 meter radius around each of them. The fire could be used offensively and defensively, since anyone who came within the 5 meters would be heavily burned and it could block up to 2 spells of equal rank. Tobi's spell came crashing down on them doing no damage to Jayden or Getsuga. What Tobi's spell did do was flare up the fire. Since his spell was a air spell it provided the fire more oxygen and it flared up. It turned the 5 meter radius into a 10 meter radius. Jayden and Getsuga then began to charge up their magical energy. Then then activated another spell that shot black flames up from their feet enabling them to fly. Then had new leveled the playing field. They both then tried to charge at Tobi with no intent on hitting him all they wanted was to get him within the 10 meter range so they could burn him. Tobi smiled when Jayden blocked his attack. It was a nice move and not only was he able to block the spell, but he also launched a counter attack. Realizing Jay was in mid attack and wouldn't be able to stop, as well as taking into account the fact that Jayden's shield had already blocked on spell, he knew his strategy would work. “A very nice defense Jayden. Your fire spells do have some type of advantage against wind magic, but the same could be said for wind magic as well.” he stated, now about to give Jay a taste of his own strategy. “Storm Mail.” he said. Tobi crossed his arms which prompted many air currents to gather around him, creating a hurricane surrounding his entire body. While clad in this "armor", Tobi's destructive power is boosted, allowing him to go into melee to perform wind-enhanced blows capable of shattering rock. Predictably, his defense is also increased exponentially, with the currents moving around him being strong enough to repel enemies and prevent them from nearing him. In addition, due to Storm Mail blowing wind inside out, all the fire around Tobi will be extinguished, meaning that based attacks directed against him won't land. With that spell activated, he could now move on to the next spell in his combination attack. He initiates this spell by bending his arms and pointing his hands towards Jayden, with his index and middle fingers stretched. 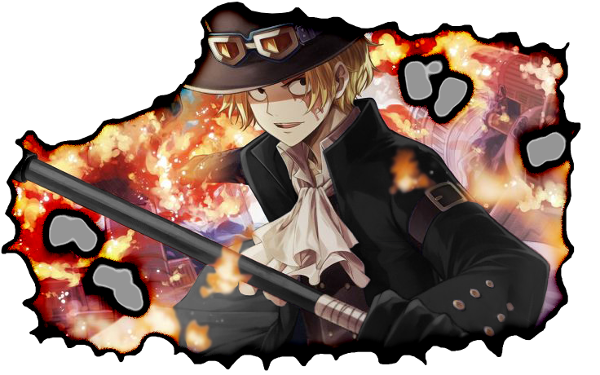 He subsequently places his two index and middle fingers in a "X" shape in front of him, generating a halo of light around his hands, from which a large, concentrated blast of wind blades in the shape of a tornado is fired towards Jayden. Though before this attack was fired, due Jayden getting to close to Tobi with his own attack, Tobi's previous spell sucked the fire away from Jay's, leaving him totally defenseless against his new spell. “Gale Force!” he called, unleashing his torrential attack towards Jay. Storm Mail, S-Rank, Duration 3 posts, Cool Down 8 posts. Gale Force, S-Rank, cool down 8 posts.